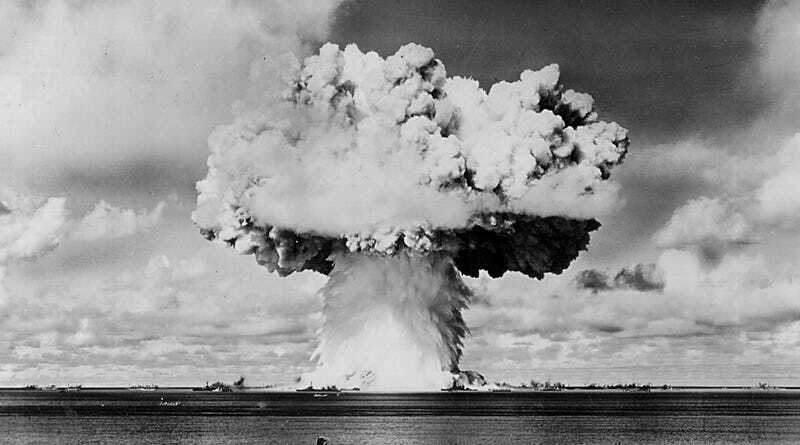 Today the Senate passed a bill that will create three National Parks sites to commemorate the Manhattan Project, the World War II program that gave us the atomic bomb. The funding for the sites has been a long time coming, with fervent debate about what national parks devoted to such a destructive force should look like. Congress hasn't passed any major bill that deals with public lands since 2009. The park will be in the form of three sites vital to the Manhattan Project's history: Los Alamos, New Mexico; Hanford, Washington; and Oak Ridge, Tennessee. "The national park is long overdue and will provide Americans an important opportunity to understand the Manhattan Project and its complex legacy for the world today," Cynthia C. Kelly president of the Atomic Heritage Museum said in a statement. The parks have been been in the works for a while now and have not been without controversy. Back in 2012, former Congressman Dennis Kucinich actively fought against the creation of the parks and worried that it would be a celebration of war. "The technology which created the bomb cannot be separated from the horror the bomb created," Kucinich said at the time. "If there was going to be a new park, it should serve as a solemn monument to Japanese American friendship that rose from the ashes and the worldwide work for nuclear disarmament that continues to this day, rather than a celebration of a technology that has brought such destruction to the world." The other sites created in the bill passed today include the Harriet Tubman Underground Railroad National Historical Parks in New York state and Maryland as well as the Tule Springs Fossil Beds National Monument in Nevada. The bill still has to be signed by President Obama.